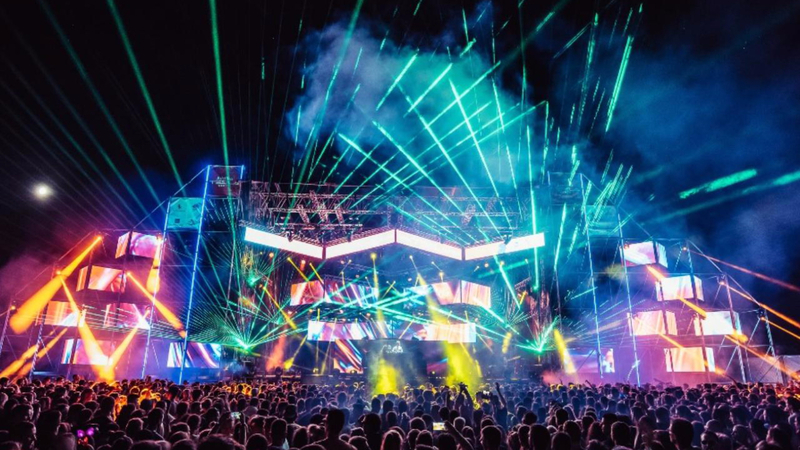 The first parties started on Thursday already, while the full capacity was reached on Friday with the performance of the world-known hitmakerRobin Schulz who filled the main stage Addiko Tesla Stage to the brim. He was preceded by an equally fantastic performances of the Russian hit duo Filatov & Karas, while the ultimate finale of this festival night wouldn’t have been complete without the trance magic of Paul Van Dykwhose anthem “For An Angel” caused true catharsis at the first signs of the dawn above Umag’s Stella Maris lagoon! Next day, a full blown traveling madhouse called Dimitri Vegas & Like Mike blew the minds of the audience and their performance was the modern equivalent of a stadium rock spectacle! The perfect introduction for their performance was given by French club sensation Ofenbach who caused euphoria in the entire Stella Maris lagoon with their radio hits such as “Be Mine” and “Katchi”. British stage attraction Hurts also gave a very emotional performance that night, performing their biggest hits and powerful guitar riffs which reminded everybody why they are considered to be one of the best concert bands today. The Sea Star festival farewell party on Sunday was the perfect conclusion and with the first rays of sunshine the audience was greeted by DJ duo After Affair from Banja Luka and Sarajevo, followed by Belgrade based techno bard Dejan Milićević, Slovenian master Aney Fand newcomers from Split AM:PM, playing live! The next station of the EXIT Freedom caravan is the fairy-tale city of Timisoara from May 31st to June 2nd, when Revolution Festival will take place. After that we are moving to Petrovaradin Fortress for the 18th edition of EXIT Festival from July 12th to 15th. The festival summer will end in the turquoise Buljarica bay, with the fifth edition of the Sea Dance Festival, this year scheduled for new dates, from August 30th to September 1st. Exit 2016 kicks off with one of the hottest hip-hop stars of today – Wiz Khalifa!